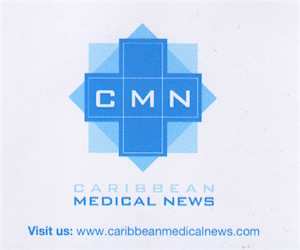 (CNS): Dwayne “John-John” Seymour, a critic of the Progressives during the campaign who then joined the coalition government as health minister, believes everyone in Cayman should have “adequate health insurance coverage”. The Bodden Town MLA is understood to have been the second member to break from the independent group during the horse trading in the wake of the indecisive election result in order to seize the Cabinet seat on offer. Seymour, whose only connection to the health sector comes from his one-time membership of the Health Insurance Commission, began a tour of his new portfolio at the Department of Health Regulatory Services last week. During the tour, he told the department’s staff that he looked forward to working with them to ensure that everyone in the Cayman Islands has adequate health insurance coverage. On the campaign trail, before he knew he would be health minister, Seymour said that “under my leadership” there would be no more refusal of health care to Caymanians and no sick child would be deprived of medication. During the campaign Seymour had focused on unemployed locals and the discrimination they face. When he took part in one of the Chamber of Commerce debates, he brought the house down when he stated that if elected to office, he would, “on day one”, put a freeze on all work permits until every unemployed Caymanian had been given a job. However, some two months after the elections, there is no such freeze, underlying the problem that the Independent candidates on the government benches will have fulfilling promises made on the campaign trail. Seymour is not dealing with immigration and, as a member of Cabinet, he is bound by the collective responsibility of government leadership, and it is not a PPM policy to freeze permits. Seymour will have to focus his attention on the reforms needed in healthcare. As such, his ministerial tour included a visit to the Cayman Islands Hospital in George Town, where he met with the Health Services Authority (HSA) Chief Executive Officer Lizzette Yearwood, HSA Board Chairman Jonathan Tibbetts, the senior management team and staff. The minister visited a number of hospital departments and wards, while being briefed on the important functions of each area. After the health department tours, Seymour was joined by Captain Eugene Ebanks, his ministry councillor, to visit the dump. 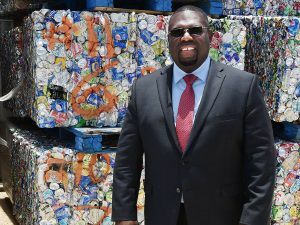 During his previous stint as a United Democratic Party MLA, Seymour supported moving the landfill to Bodden Town. But after the party leader and former premier, McKeeva Bush, was ousted from office and Seymour joined the interim five-month administration as minister for community affairs, he accused Bush of throwing him under the bus regarding the dump relocation, given that he was a Bodden Town representative. On the more recent campaign trail when he was criticising his new government colleagues, Seymour accused the previous PPM government of excuses over failing to advance important government projects. While visiting the landfill he said nothing at all about the current plans to begin a request for proposals for a new integrated waste management project, even though CNS understands the Department of Environmental Health is waiting on Cabinet to push forward the request for proposals on this issue. Seymour will now be overseeing what is likely to be one of the most valuable public contracts the government has ever tendered and a process that is bound to attract controversy.